Cuff (cm): XS: 26cm, S: 27cm, M: 28cm, L: 29cm Model is in size S model Measurements: nbspnbsp nbspHeight: 175 cm, Bust: 84 cm, Waist: 61 cm, Hips: 88 cm. Blouse is just super! At 90-67-93 bolshevat a little, the quality is good, the seams are all smooth smell and there are no protruding threads, the lace is dense i am very satisfied came quickly brought the courier to the house! Blouse liked, there was no smell. Sewn as on me. Thanks for the feedback of other buyers, thanks to which i chose the size and was not mistaken. the seams are all symmetrical. I liked it. I did not communicate with the seller. It’s very pretty and original, however it doesn’t fit perfect from the chest, it gets a little higher. Blouse came after the order in 10 days. On the size s ordered m came all well. 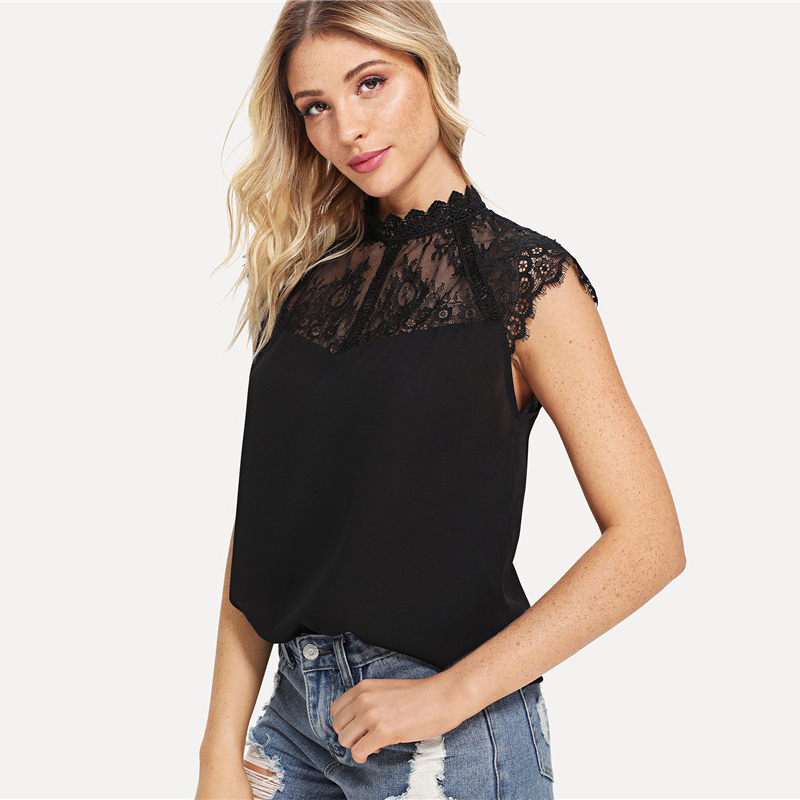 Blouse super quality is good, lace is also not thin, odorless. seller thank you. i recommend. Shipping 6 days!!. The product corresponds to the description. The size table is correct. Top is good, serious seller. Have the following comments: 1-the top is a little transparent and is possible notice through photos with the flash; 2-In Brazil use the mannequin 42 and the top Size M fit very well; 3-seller sent a button to more; 4-Delivery in Bethlehem/PA was approximately 40 calendar days.